Parents and caregivers looking for speech therapy for autism in Huntsville, Alabama, have many options to consider. Auditory, speech and hearing specialists can offer guidance and services to people in need. A speech therapist is an important part of a child's treatment team and treatment may continue through adolescence and into adulthood. Verbal apraxia and social communication challenges may make speech therapy a necessity. Speech therapists in Huntsville work in a number of different settings and a child's treatment plan should outline which settings are best. Parents and caretakers looking for speech therapy for autism in Huntsville, Alabama, can find qualified speech pathologists and speech therapists through a pediatrician or early intervention program but other resources are also available in the area. The Autism Society of America is a great resource for finding help and AutismLink offers a list of services organized by region in its searchable database. Many outstanding options are available in Huntsville. 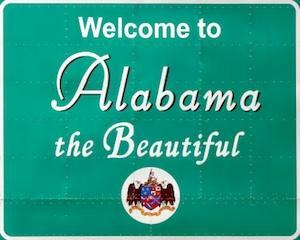 Professional Speech Services of Alabama (PSSA) has an office in Huntsville. The organization is a great choice for families dealing with autism because PSSA therapists earn certification through the American Speech-Hearing Association. Alabama Board of Examiners must license therapists for Speech-Language Pathology and Audiology to work for PSSA.PSSA offers therapy for children, adolescents and adults. Parents of young children can expect to have a consultation followed by an evaluation. PSSA works with parents to create an individualized treatment plan that addresses the child's specific needs. Speech therapists may work in different settings, depending on the child's needs. PSSA recognizes that parents are important members of their child's treatment team and they work closely with the family to help the child meet his goals. PSSA offers speech therapy for adults as well. Autistic adults may require therapy to address speech problems. The organization provides services in small groups or in individual settings. Huntsville Pediatric Associates is ideal for parents of children or adolescents on the autism spectrum. The organization offers speech therapy services to children to help improve communication and articulation. Huntsville Pediatric Associate's speech therapy services also deal with auditory processing disorders.Auditory processing may be a considerable problem in children with autism and many parents may mistake the symptoms of autistic disorders as hearing problems. It may be necessary to test hearing before entering a speech program. Auditory processing problems differ from hearing problems in that the child hears perfectly fine, but is unable to process the information correctly. Speech Therapy Solutions (STS) is a community-based organization that helps children develop speech and communication skills. STS uses the principals of applied behavioral analysis in its therapeutic approach and it partners with Premier Preschools and Applied Behavioral Concepts to develop on-site therapies and speech-language development workshops. The STS network is dedicated to informing families about the latest developments in speech-related research. The network is a vehicle for connecting patients to helpful resources in the community. STS offers services to children, adolescents, adults and seniors both on and off the autism spectrum. This organization is ideal for families living in Huntsville or in surrounding areas in North Alabama. Those interesting in learning about specific services, insurance coverage and fees can visit the Speech Therapy Solutions contact page. Parents can benefit from working closely with their child's speech therapist, no matter what age their child is. The therapist can offer activities and strategies used in between sessions. Working directly with your own child on a regular basis can help improve articulation and communication skills over time.